Mobile homes are amazingly wonderful these days but in South Georgia we have tornados from hurricanes; you don’t want to be in a home that is mobile. Why can the manufactured homes industry push for houses that arrive on trucks in sections or pods and are then assembled with stronger roofs and exteriors? Watchers of HGTV know that the Japanese are doing pre-fabs in aircraft hangers with a reduction in waste and cost. My father use to question why someone would have a new Cadillac parked in front of a shack or next to an apartment. Did he know that I would be approaching fifty without owning my first house—even a shack. I have got to get me one of those shacks. Actually, a modest bungalow or cottage that I build in part myself is my plan. The internet is full of webpages for companies doing interesting things with pre-fabs. We must change our mindsets about homes and not let the housing industry drive us into the poor house like the auto industry and fashion world. Conspicuous consumption or “keeping up with the Jones” is a dangerous thing. The subdivision community that popped up in the late 60s and early 70s in the south emphasized ranch homes with formal dinner and living rooms—those rooms we could only enter on holidays. Today, homes with great rooms better serve American families. I know people overseas who would never put T.V.s in their “bed” rooms because the bedroom was made for sleeping and dressing; they live in their living rooms. In the Mc Mansions that helped created the housing crisis here, people have big bedrooms plus several living rooms, dens or studies. Huh? I like the families that planned their housing size and cost with their real needs in mind. For example, a couple with two high school aged children and one in junior high shouldn’t give each kid a room in the new house since every kid will likely be gone in a five years; maybe the oldest kid could have a room that will become a study or den. We hear shocking stories about ball players in the A.T.L. building super-sized homes without consideration for the upkeep cost after their playing days. But, regular families need to think about the expense of heating and cooling large homes in retirement also or after one spouse is gone. Older couples should build houses with wheelchair accessibility in mind and think about stairs. If I actually had money and wanted a big house, I would design the structure with the idea that I could convert it into a duplex if I reach old age. The house could generate some retirement income, I would not be alone from the security standpoint and I would be free to chill in a second home in some affordable Caribbean spot for months at a time. I love it when a plan comes together. I also love seeing people retire and move back to the South. Folks often sell their northern homes (too cold up there), buy a small place in the hometown and pocket a nice chunk of money. Of course, they are concerned with the racial climate rather than the climate climate. It can get cold down here in other ways but many discover that the vibe is smooth than expected but the urban drama of crime and drugs is here also. We know about planned communities in Florida and other retirement areas but what about smaller, affordable versions in southern towns. 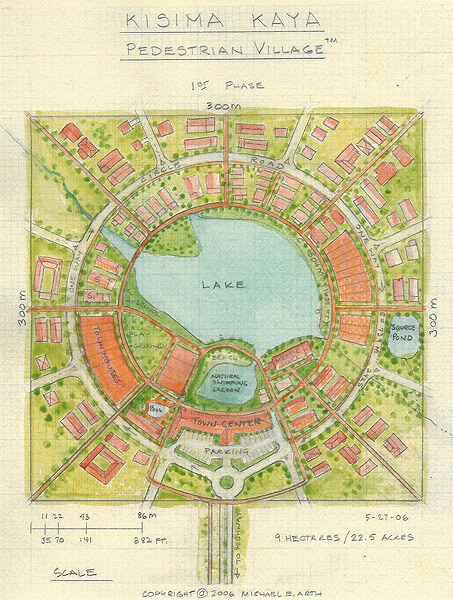 I have always like those bungalows communities that grew when the troops returned from World War II but modern versions could be within walking distance of old downtowns and feature duck ponds with walking paths; retail spaces and eateries; and lofts, apartments and modest homes. We must emphasize the importance of building homes we can comfortably afford. The formula charts in the real estate section of my local newspaper say a person with a gross income of $24,000 can afford an $81,000 home. I don’t half trust these real estate and banking people because they are nothing like my man George Bailey in the movie It’s A Wonderful Life. George and the old school guys lived in the community and wanted to see people actually own their homes; they looked forward to mortgage note burning parties. Today, the industry is structured in a way that guys get their money at the beginning and if you go crazy trying to meet the monthly payment that is tough luck. You made your bed and you must sleep in it. It’s better to own a modest home than stress over a big house. If you work overtime or two jobs to put your family in a large house, you missed precious family time and if you don’t raise your kids the streets will. You can’t get that fishing time, nightly sit down dinners or school events back. Those teens are in those big rooms in big houses watching big T.V.s teach them how to get into big trouble. One thing about little houses is that people learn how to get along and those cool evenings of bonding on the front porch are priceless—think Mayberry. Nice site – Like what you did. Here’s wishing you a very happy and prosperous new year !